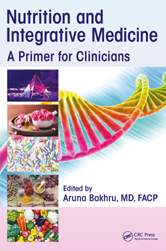 Written by leaders in the academic and scientific world, Nutrition and Integrative Medicine: A Primer for Clinicians presents various modalities to help restore health. This book provides users with a guide to evaluating and recommending nutritional and integrative therapies. What Influences the Reversal of the Dentinal Fluid Flow? Can Human Cells Exploit Photosynthesis? What Are the Different Types of Non-Ionizing Radiation (NIR) That Are of Concern? What Do Authorities Say about Electrosmog? What Can We Do to Protect Ourselves from Electrosmog? How Fast is the Nervous System? What is Light and What Medium Does It Travel Through? Chapter 30 Nutritional and Alternative Medicine: Legal and Ethical Considerations - Peter A. Arhangelsky, Esq.